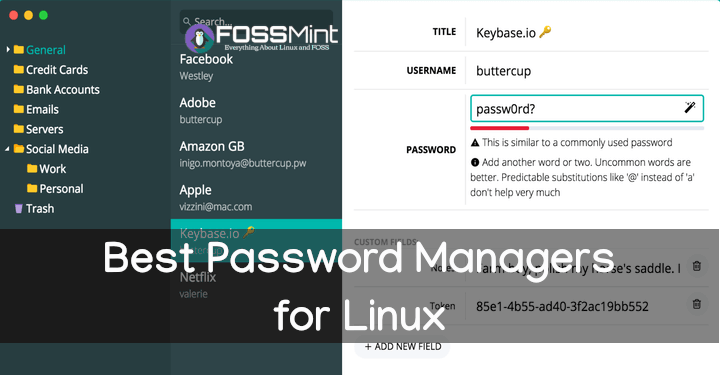 We have covered several ebook and PDF readers on FossMint and while some are advanced enough to parse digital comic books, they don’t always offer users all the features that allow for a complete comic reading experience. 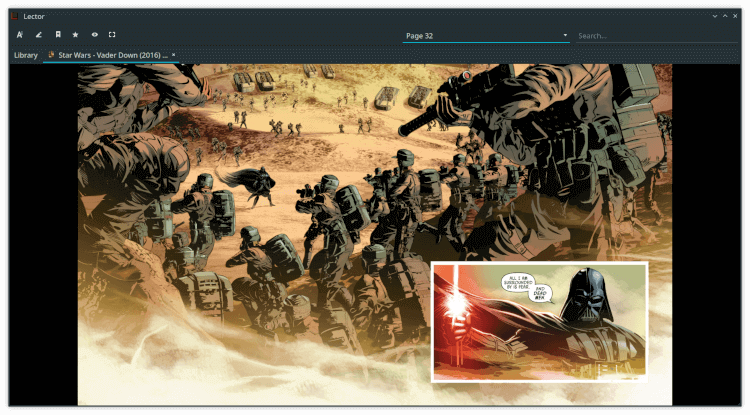 Here is a list of the best applications created with viewing comic books in mind – dedicated comic book viewers for Linux. 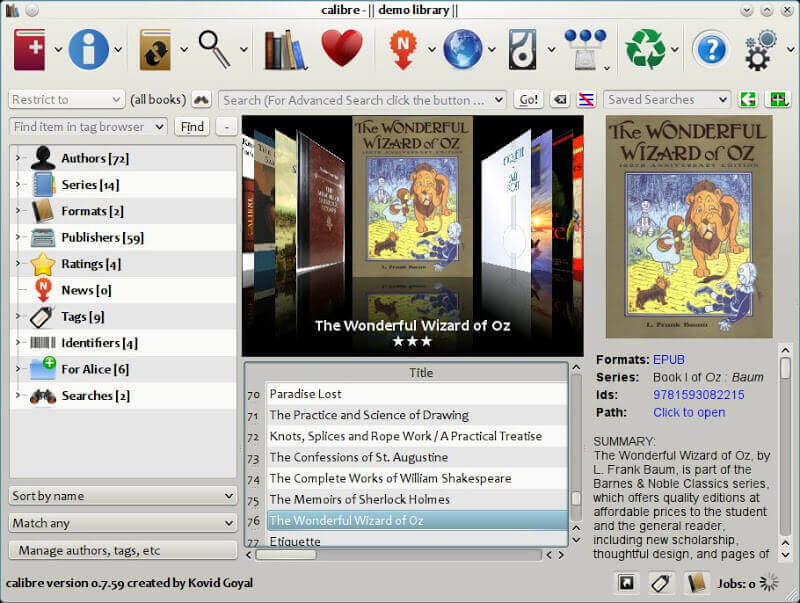 Calibre is a free, cross-platform, and open source suite of ebook software that enables users to organize virtual libraries, edit metadata information, synchronize content with other software, and convert e-media between formats. Calibre is a robust digital library management application capable of viewing almost any type of ebook. And whatever you can’t seem to view by default, extensions can come to your rescue. It has several sorting and filtering modes, options for managing metadata content, viewing modes, import/export support, and automatic updates. If you want an all-in-one reading powerhouse then Calibre is a good option. 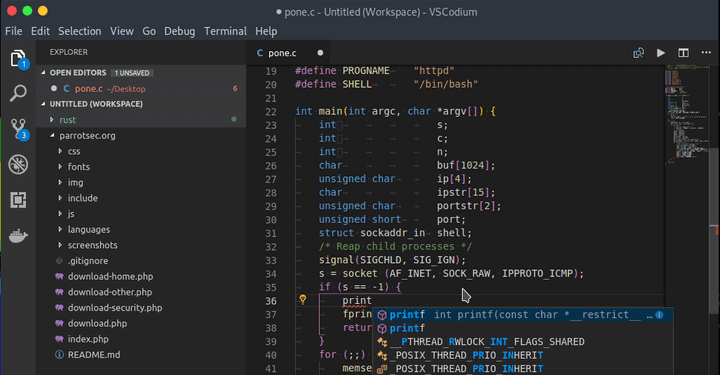 Calibre has a binary installation script that comes with all its dependencies, simply copy and paste the following command to install or upgrade it. 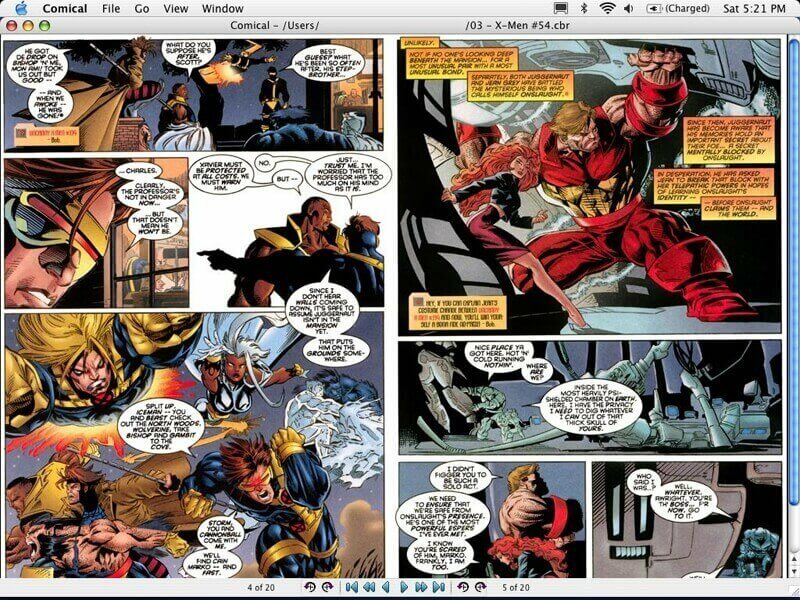 YACReader is a robust, configurable, cross-platform and open source digital comic book reader. It has a built-in search engine for discovering comics, automatically updates metadata, and support for several comic and image formats. 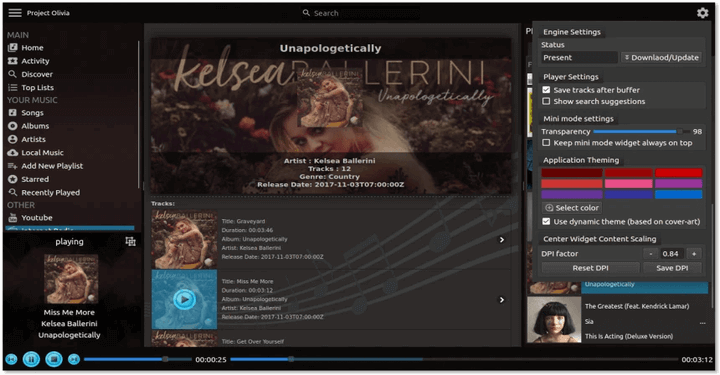 YACReader also offers an eye-candy user interface with customizable options coupled with support for selective imports, remote browsing, table and grid mode, and swift indexing. YACReader offers official binary packages for Debian, Fedora and Arch based Linux distributions at the Download section. 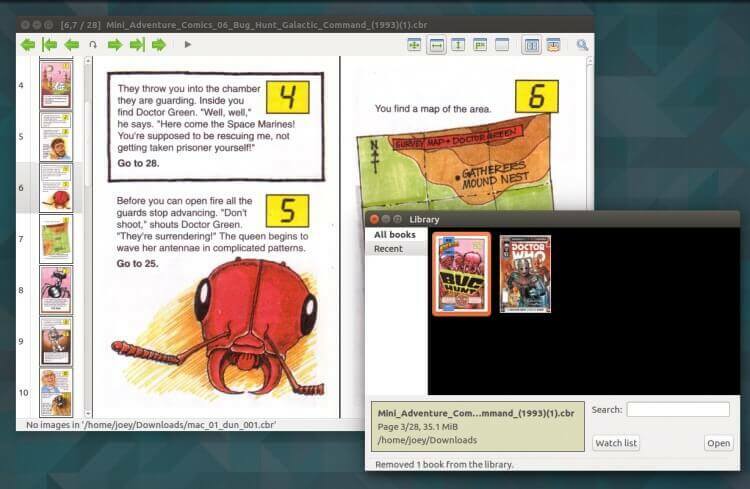 MComix is an open source GTK+ user-friendly and cross-platform ebook reader designed specifically for comics that also doubles as a generic viewer for PDF and other document formats. 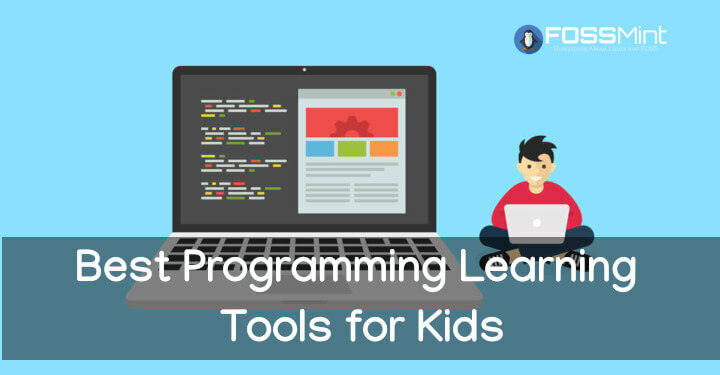 It features a comprehensive online manual, tracks your reading history, fast scrolling, multiple page view modes, and customization e.g. 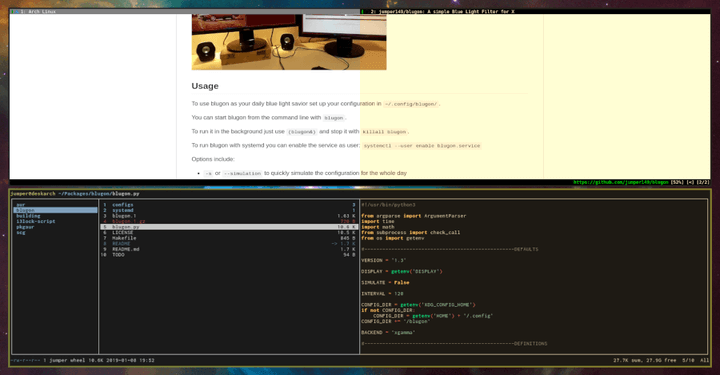 change background colors, hide toolbars, etc. Read more on MComix here. 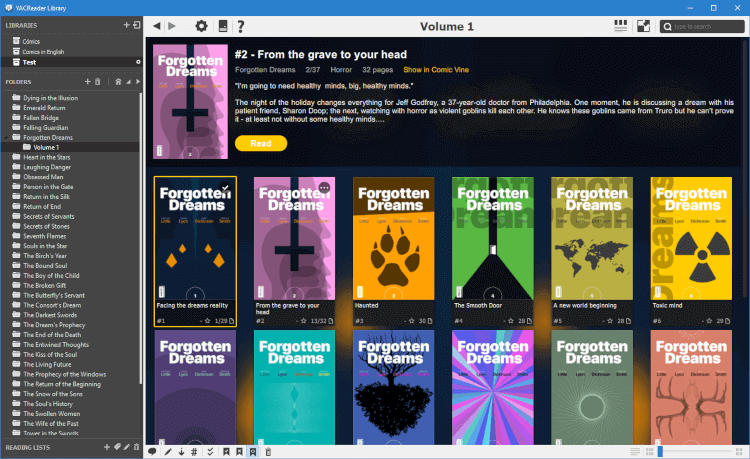 Lector is a free and open source beautiful Qt-based ebook reader. You can customize its font type and size, page colors, letter spacing, and zoom controls. Apart from having support for all popular digital print media formats including PDF, MOBI, CBZ, and AZW, you can edit the book’s metadata, and read in a distraction-free mode. Two things that are unique in Lector are its ability to index books pasted into its library, and support to export custom profile settings. 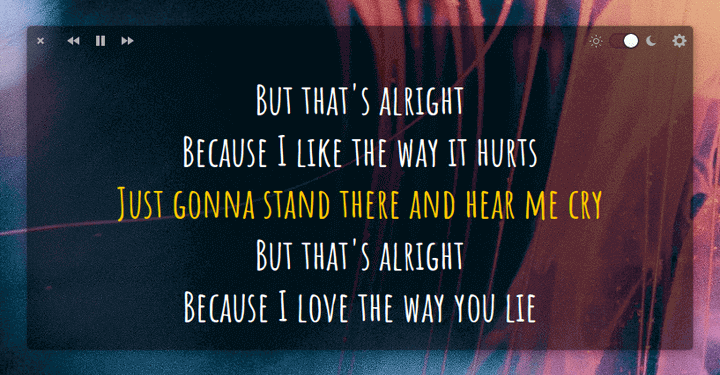 Learn more about Lector here. 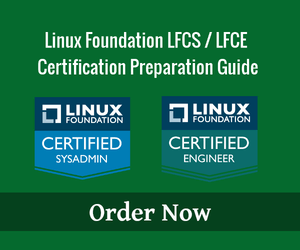 Lector is only available to install for Fedora, OpenSuse, Arch and Gentoo distributions from the default repositories and other Linux distributions can install it manually using its installation guide here. 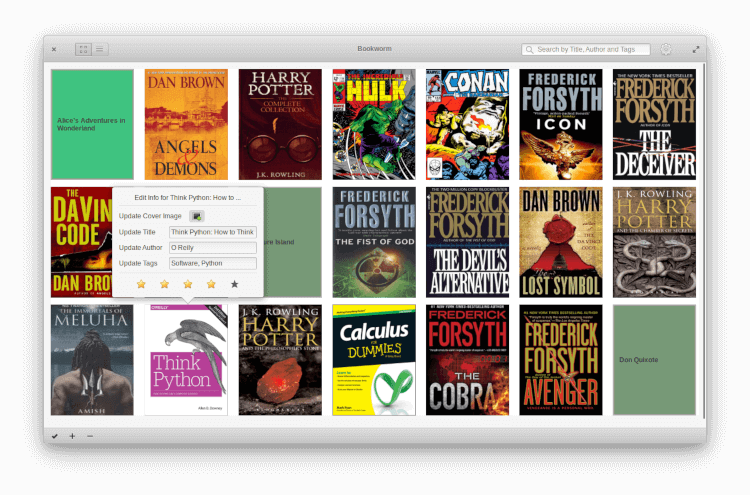 Bookworm is a simple minimalism-focused ebook reader developed to have a distraction-free mode by default. It supports CBZ, CBR, MOBI, PDF, and EPUB formats, list/grid view, filtering using the search function, metadata sorting, and keyboard shortcuts. Bookworm comes with many options which give users different customization styles and you can set them from its preference menu. See our article on Bookworm here. Bookworm is available to install on Ubuntu and other Ubuntu based systems using official PPA as shown. If you have Flatpak installed on your system, then you can install Bookworm as a Flatpak application as shown. 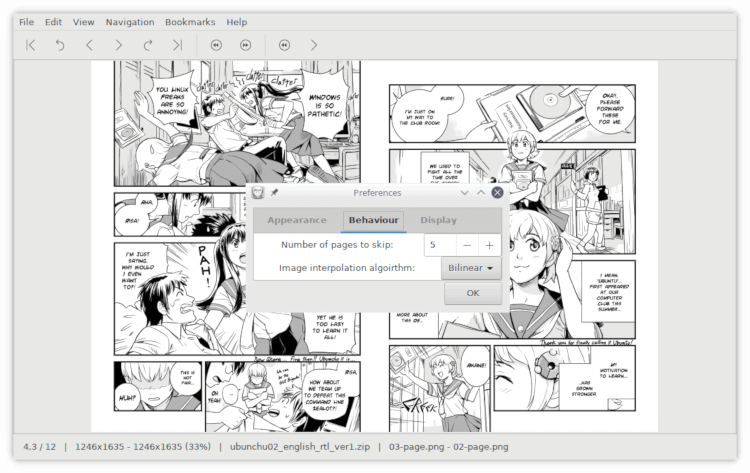 Peruse is an open source comic reader created and maintained by the KDE community in the aim to make reading eBooks more pleasant in KDE desktop environment. 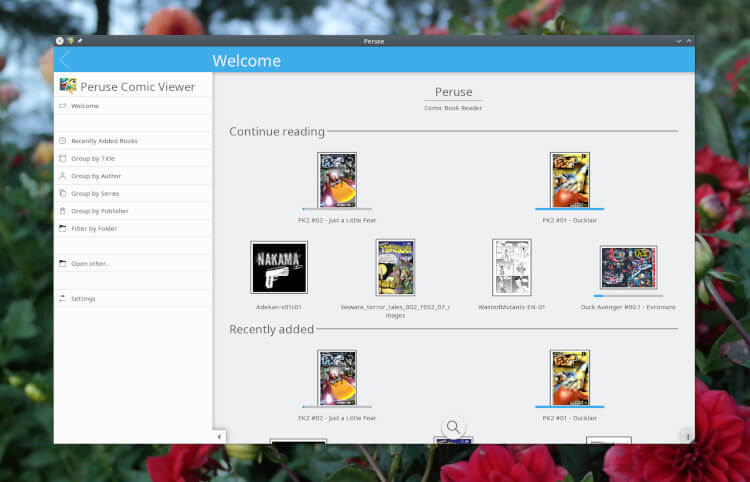 Peruse is available for Linux and Windows and it features a simplistic UI with support for all common comic formats including cbz and cba. You can sort comics by title, series, recently added, and author. See our article on Peruse here. 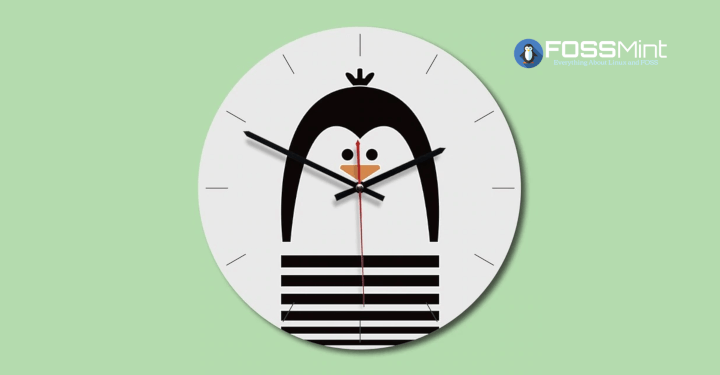 Peruse is available to install as AppImage on your Linux system. 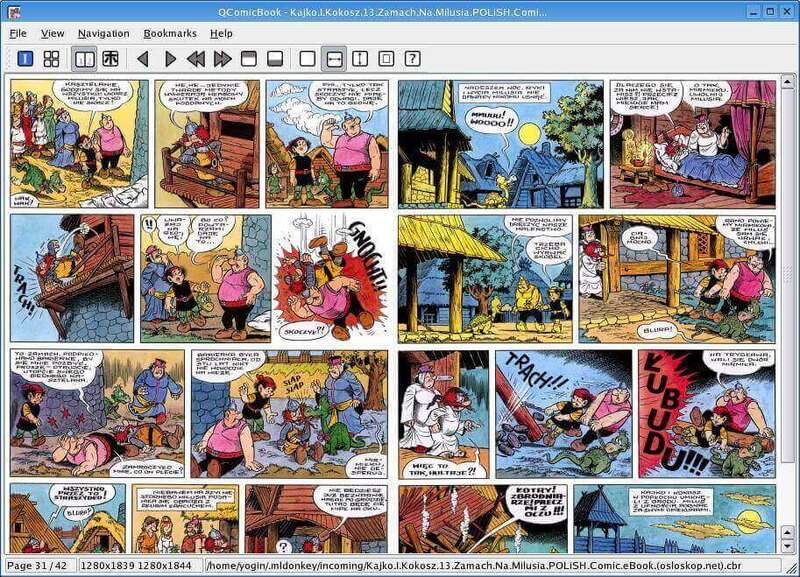 Gomics is an open source GTK3 comic and image archive viewer. It is written in the Go programming language to be memory friendly with a simple, clutter-free UI. Gomics offers users smart scrolling, bookmarks, randomized page ordering, navigation between CG scenes based on the similarity of images, flip animations, manga and comic viewing modes, etc. Gomics is only available for Arch Linux from the AUR repository, other Linux distributions can follow the installation guide here. 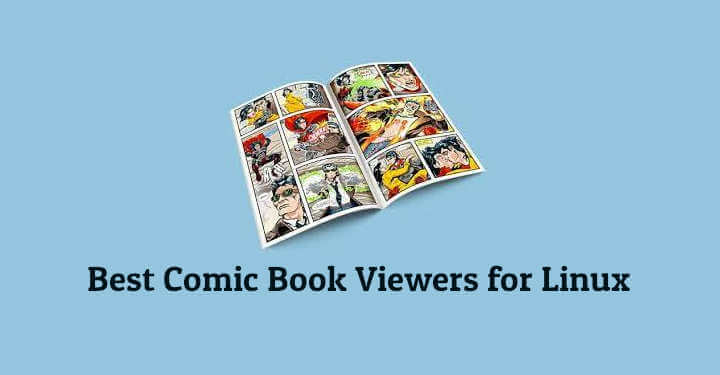 ACBF Viewer is an open source book reader that works with all popular comic book formats including CBZ/CBR, ACV, and ACBF file formats. ACBF Viewer is written in Python and is available for Windows and Linux systems. It features 3 viewing modes, supports text-layer translations, metadata indexing, sorting, filtering, etc. ACBF Viewer is available to install on Ubuntu and other Ubuntu based systems using official PPA as shown. Comical is a free and open source C++ comic viewer that focuses on CBR and CBZ using wxWidgets. 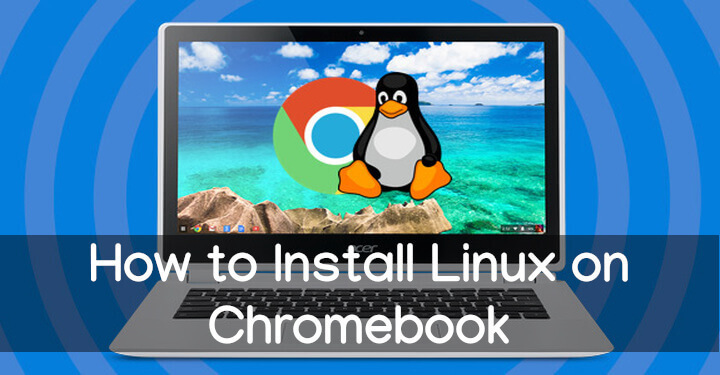 It is available for installation on Windows, Mac, and Linux with support for multiple formats. Comical offers its users two unique features namely portability and high-quality image scaling algorithms. These features enable you to run Comical from the convenience of a pen drive without worrying about issues like font size, image quality, etc. 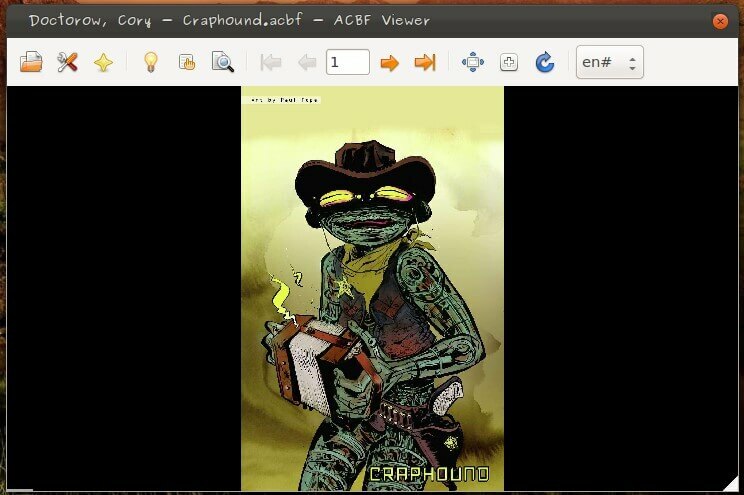 QcomicBook is an open source C++ based viewer for comic book archives that aims to provide simplicity and convenience. 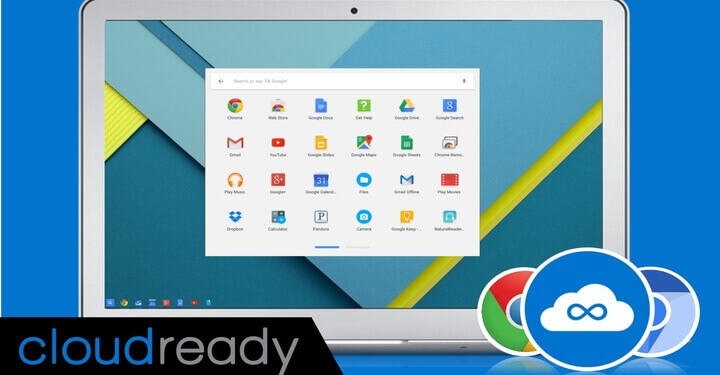 Its features include support for jpeg, png, bmp, xpm, and gif images, full-screen mode, page scaling, continuous scrolling mode, manga mode, etc. QComicBook also features image rotation, keyboard shortcuts, thumbnail view settings, and other customization settings that you can enjoy when you install it. cbrPager, Jomic, and Comix are simple, open source ebook viewers that are designed for reading CBZ, CBR, and PDF files. They have features that make them unique like support for several image formats and caching. 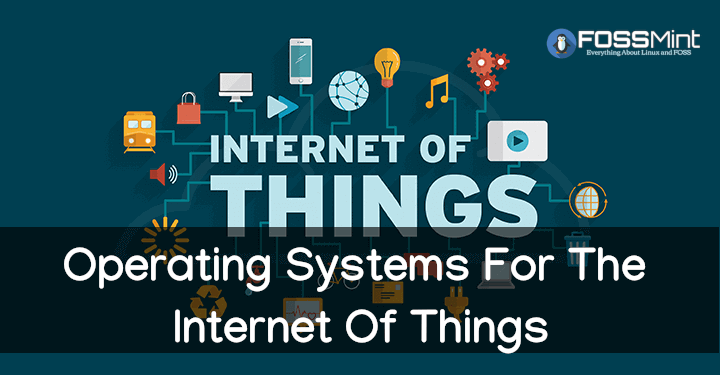 You should know that they haven’t received any updates in many years and are behind regarding many features that their more recent alternatives offer. That notwithstanding, they have a simple UI and are among the best in their time so they might still appeal to you. Which ebook viewers have you enjoyed using over the years? Drop your comments and suggestions in the section below.